Winter Challenge is a fun, NO PREP, Winter themed activity to encourage fine motor, gross motor and visual motor skills. 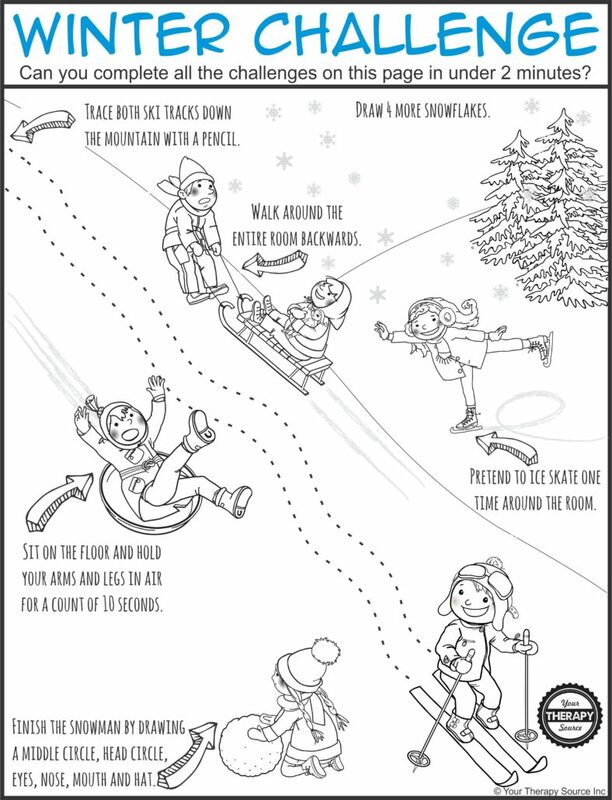 Just print the black and white page and complete each of the Winter themed challenges. Can you trace the ski tracks, draw snowflakes, walk backwards, pretend to ice skate, hold snow tube pose and finish drawing a snowman in under two minutes? Use this activity during a brain break, indoor recess, OT session, PT session and/or carry over of therapy activities. 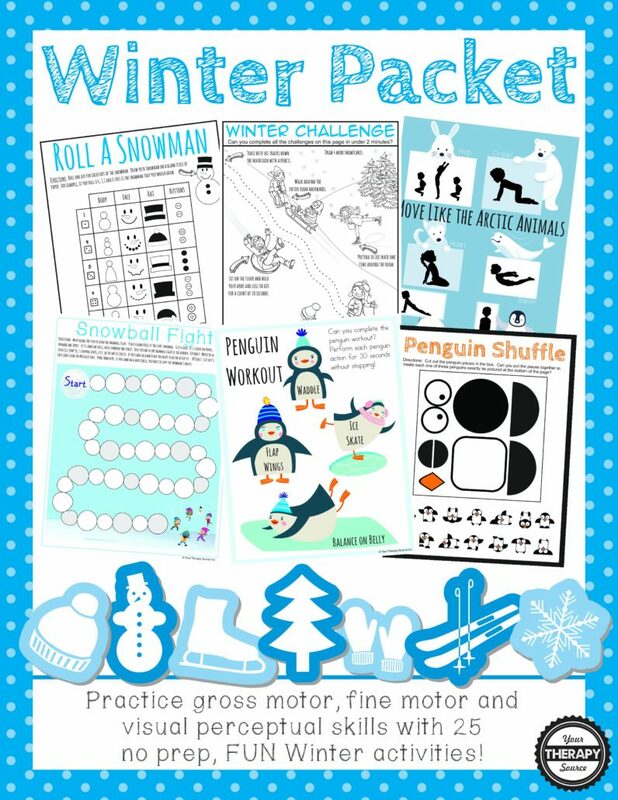 This freebie is from the Winter Packet that includes 25 NO PREP Winter themed fine motor, gross motor and visual perceptual activities.